Firstly thank you everyone who has come to my little corner of the internet to get me to this point. When I started off a little blog about tea 3 years ago I never expected it to be seen by anyone outside my group of friends. Secondly I actually ticked over 20,000 views about a week back but haven't had the time to write this post until now. The concert hall at the Sydney Opera House holds 2,700 people. This blog was viewed about 8,700 times in 2013. If it were a concert at Sydney Opera House, it would take about 3 sold-out performances for that many people to see it. Osmanthus Green: Thesis, YouTube, Update! So thesis writing is fully under-way now and my supervisors assure me that writing will get harder and longer as it continues - fun, fun, fun! Lost A Pint Of Blood? Replace It With Tea! So I want to take a break today from PhD based ramblings to talk about giving blood. Did you know that 96% of people rely on the other 4% for blood donations? Maybe you've not thought about it before or are a little worried about what it entails so I'll tell you now that it mostly involves biscuits, drinking and sitting down. Easy eh? Thank you everyone for reading my ramblings, costume ideas, recipes, geeky computer ideas, airsoft tales, reviews and tea posts! Everyone knows that people who read my blog are the best kinds of people! Let me set the scene for you. It was a warm but not unpleasant summer afternoon. The kind which threatens rain. * The kind we British deem perfect barbecue whether. And indeed I did barbecue for it was the last evening of Cubs this term. An enjoyable game of kwik cricket, two burgers and a few glasses of fiery ginger beer later I was satiated. The cubs all left with their respective guardians and I set off home. On the drive back I got to thinking, as I often do, that I desired some good company and a pot of tea. Potentially even a biscuit to round off the evening. It's A Brand New Tea! So as a British person (66% of Britons drink tea daily) I feel the need to consume a good quantity of tea everyday. The average Briton drinks 3½ cups a day - you'll find me at the top of the bell curve dong my best to keep the average up. I normally have around 6 cups a day. It's been a busy few weeks so I'm afraid the blog has suffered slightly. I had a hectic week filled with work and rehearsing and just about managed to make a rather ridiculous cake. This was followed by a pretty stellar concert by CAOS which filled out the church and enjoyable festivities thereafter. I plan to update more regularly in the future. In Leamington Spa meeting up with old friends I found myself in possession of a hangover and thus the need for a recovery breakfast. The Leaf tea rooms and piano bar were suggested as the place to go and go we did. It was a lovely experience - I think we walked in to Paparazzi by Lady Gaga being played on the piano. The tea room has a nice relaxed atmosphere and the soothing piano playing is the perfect backdrop when you have a bit of a headache. Although I wasn't there at tea time I am informed that not only do they do a very filling afternoon tea that they also have a wide selection of delectable cakes. The only other white tea I've tried before this was an Earl Grey variant which overpowered the tea a little. 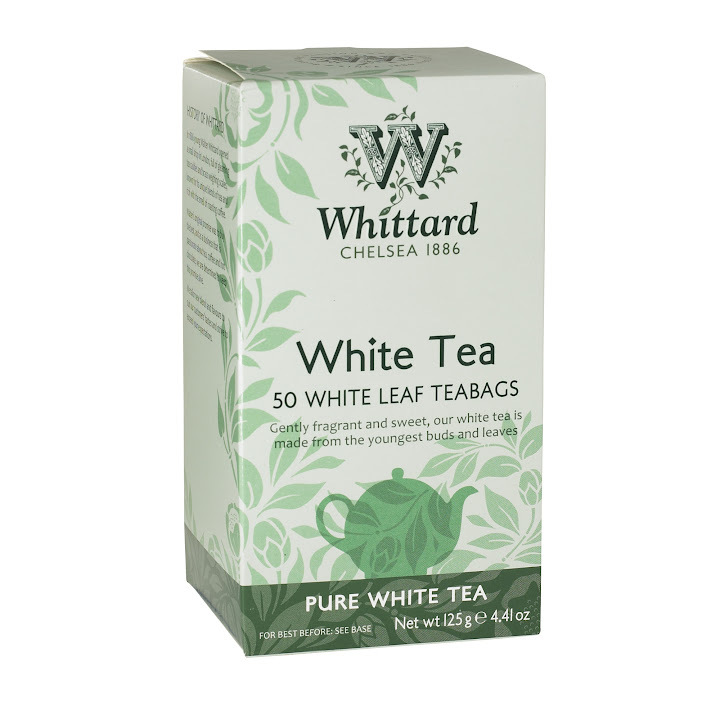 So this is my first time properly trying white tea. Teat for the Tea God! Mugs for the Mug Throne! 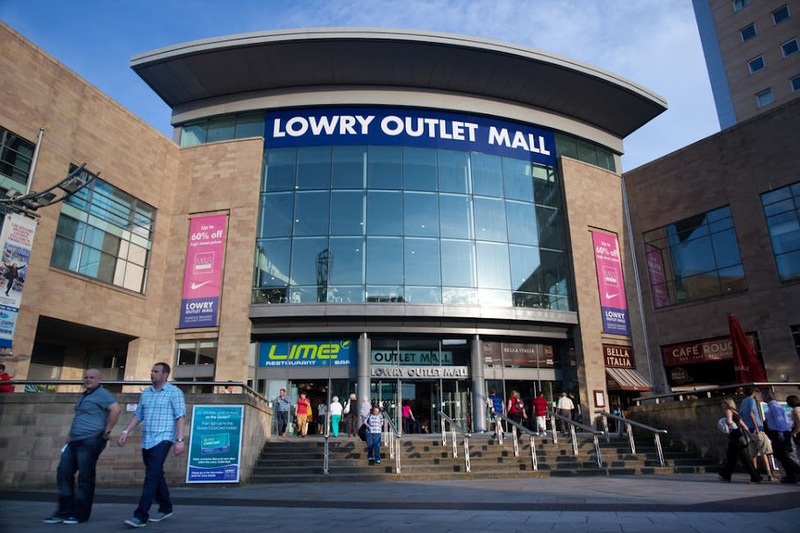 I was down to my last few tea bags at work and so decided to head the the Lowry Outlet Mall where there is a Whittard's outlet shop with a few friends. And now I have a large stock of new tea for work and for reviewing! I will endeavour to review other tea brands in between all these Whittard ones too! "Stop what you are doing and savour!" Regular readers will now I am a big fan of Earl Grey. 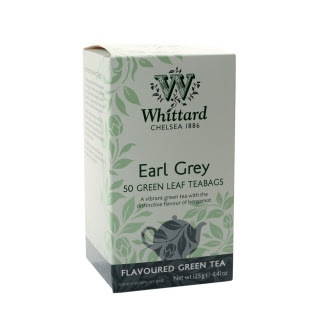 With the aforementioned offers I just had to risk it and get hold of some green Earl Grey. This tea is essentially just green tea with bergamot added. It's a lovely brew and means I can enjoy Earl Grey at work without the need for milk or lemon*. It's lighter than the black tea equivalent and very refreshing. I would heartily recommend it! *Yes I drink Earl Grey with milk - I like it that way! While at a conference (a little while ago) I had the opportunity to visit Cambridge's lovely market. There I purchased a ginger flavoured black tea to try. This is a lovely cup of tea with or without milk. There is a hint of ginger in the aroma but you can definitely taste it. I love ginger and this is a very pleasant tea experience. With milk in the tea it would be the perfect accompaniment to dessert. Perhaps some gingerbread :) Without milk the black tea flavour is stronger and I might even consider having it as a regular tea. Lovely gingery black tea. Perfect with milk! P.S. Once I find a link for the tea seller I'll update this post with it.